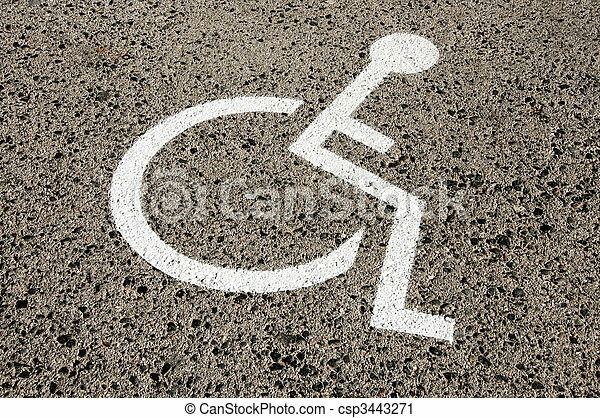 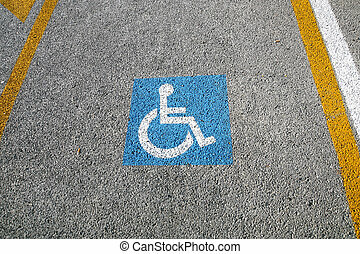 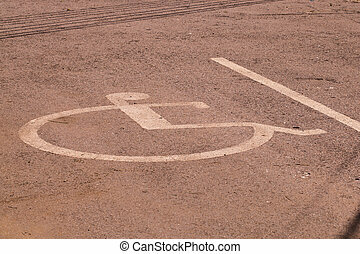 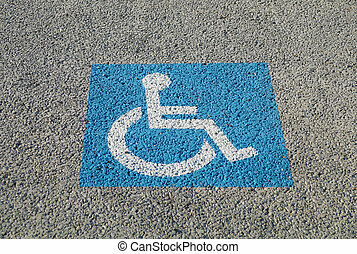 Disabled parking permit sign painted on the street. 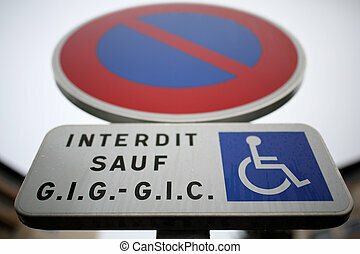 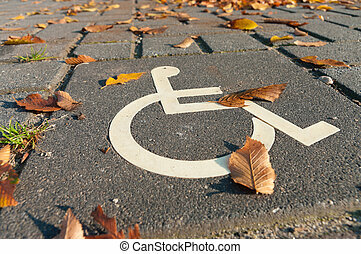 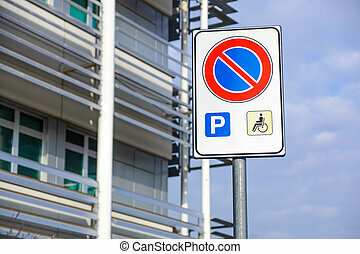 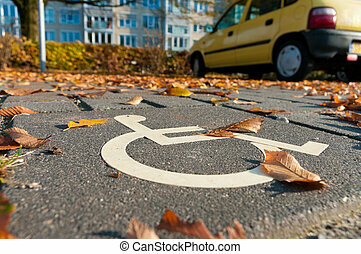 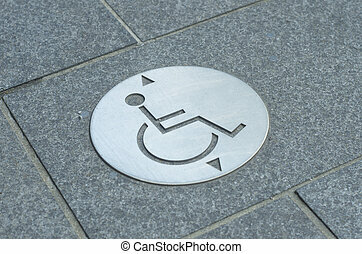 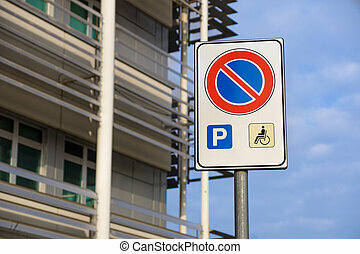 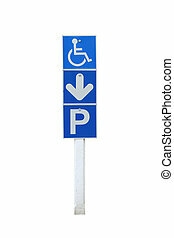 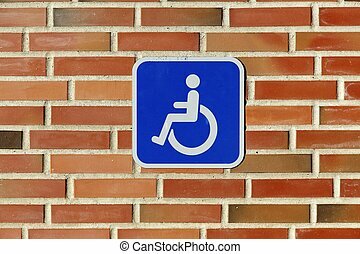 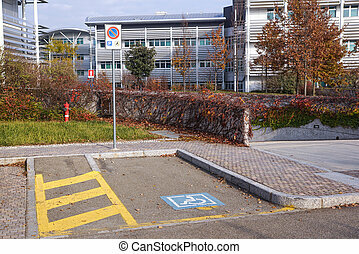 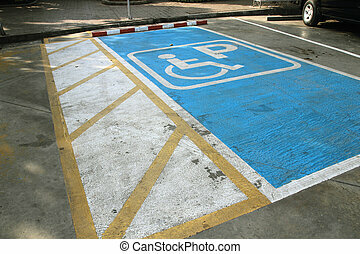 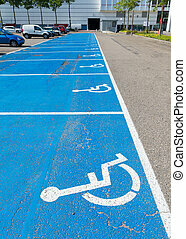 Details of a traffic sign for disabled parking. 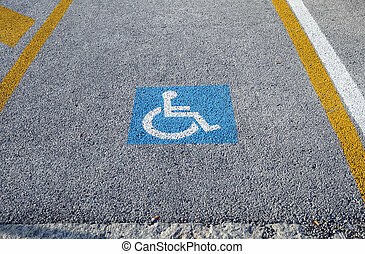 disabled parking permit sign painted on the street .